B’Lo was the second of New York’s Celebrity Super Clubs that the Designer Constructions team was invited to collaborate on. 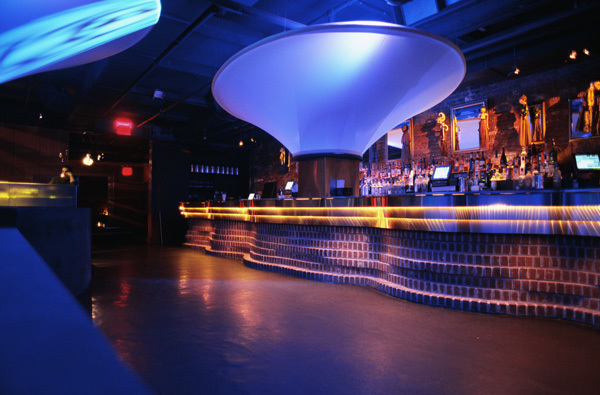 Lighting Effects within the Club and the entrance was of high priority to the owners. thousands of Fibre Optic Cables were used to create a wall of stars at the entrance. 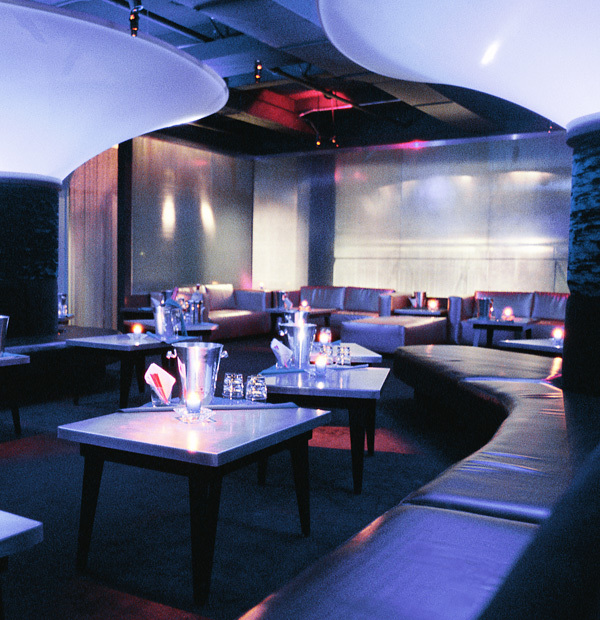 The existing bland square concrete support structures were transformed into opulent curved columns upholstered in velour. 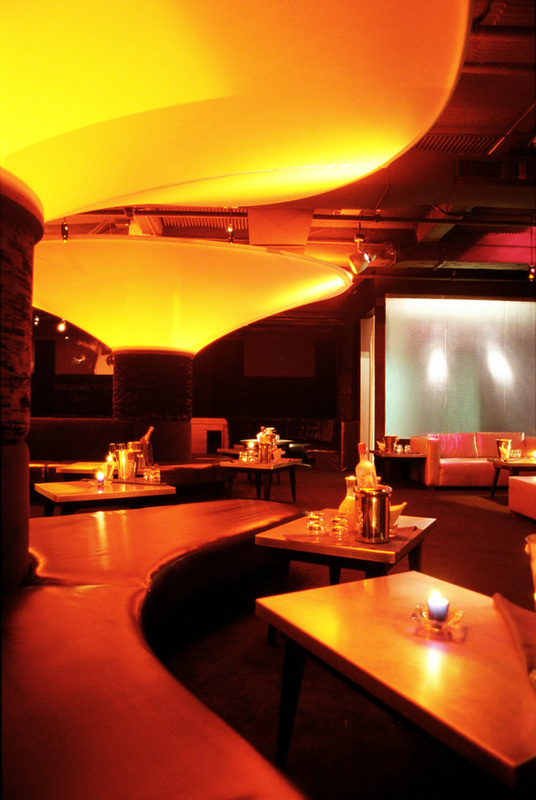 Above each column, a suspended unique silk like fabric stretched towards the ceiling diffusing soft coloured light in its path. The entire interior landscape was custom made and fabricated on site. 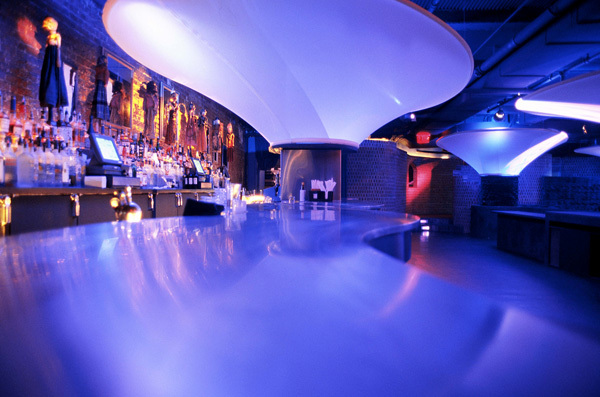 The bar itself, which featured tiered waves around the bar face was also constructed in stainless steel on site. 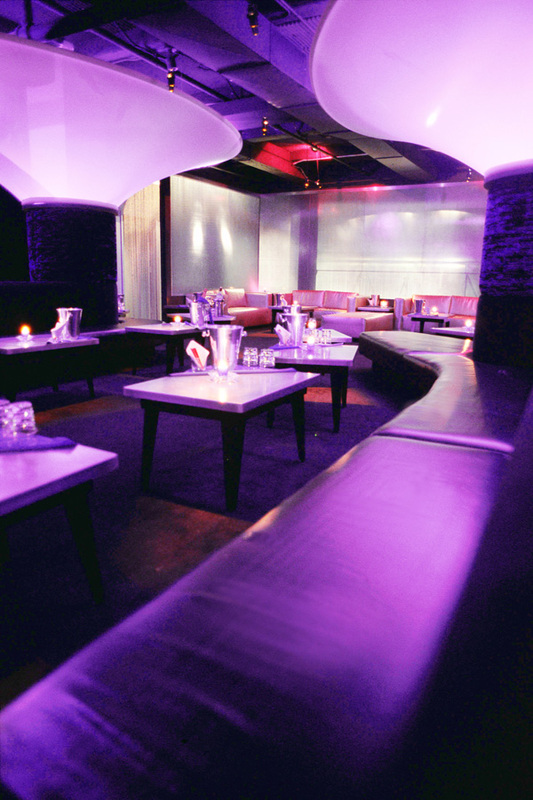 This club was completed within in a tight time frame of six weeks and most importantly, on budget. Reviews on this club demonstrate the success of this project. 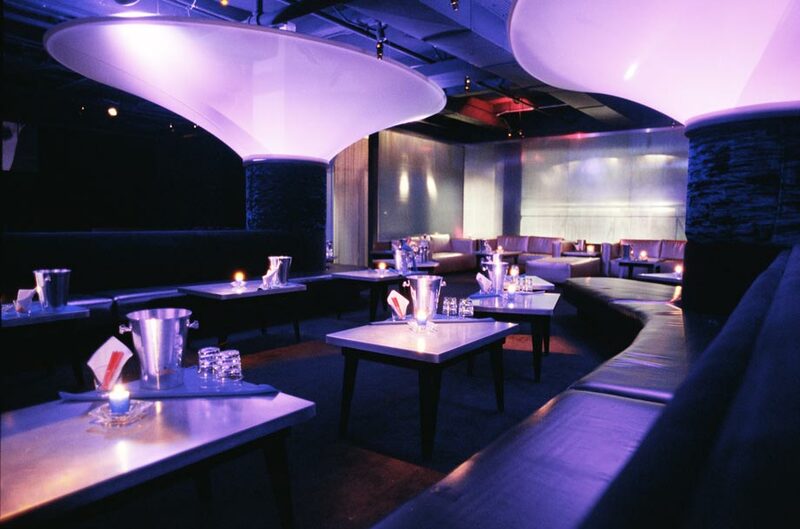 B’Lo has hosted many celebrity parties and was also nominated for New York Club of the Year in 2004 & 2005.